I am loving all these new nail varnish textures - first there was matte, then magnetic and now Illamasqua have come up with a new rubberised finish. Described as a waxy candle like finish, it's a mid point between glossy and matte - the varnish does reflect some light, but still has a mattified look to it. 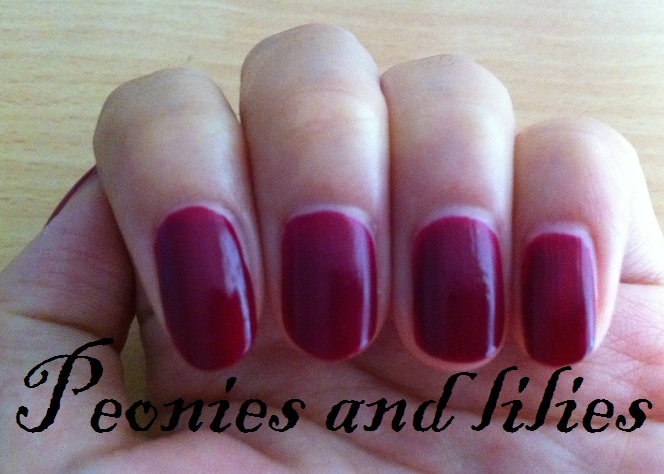 There was a choice of 4 colours, and I decided to get my nails painted with Vice, a gorgeous berry wine colour which will be perfect for Autumn. To celebrate their launch, Illamasqua are currently running a competition on their website, so if you'd like to win one of these nail varnishes, then click here. What's your favourite nail varnish finish? What are you wearing on your nails this weekend? That is a lovely colour. My Fave is Beth's blue by models own.